The 2016 RGA Mega Weekend will be held at the Woodland Grange, Leamington Spa, Warwickshire, from the 27th to the 30th October 2016. Woodland Grange is set in 16 acres of leafy parkland, right in the heart of rural Warwickshire, and many of our 114 bedrooms enjoy spectacular views over rolling countryside. There’s free superfast Wi-Fi throughout the entire venue, so you can stay connected easily wherever you are. All of the bedrooms have flat screen plasma TVs, tea and coffee-making facilities, and en-suite bathrooms with power showers and complimentary toiletries. An added bonus for guests is our leisure suite, where adults can relax and unwind in the sauna or jacuzzi. There’s a well-equipped fitness room too, and for those who enjoy the great outdoors, a pleasant stroll awaits in the grounds – perfect for more energetic outdoor activities too! Unlimited speciality teas, coffee and refreshments are available on a ‘help yourself’ basis at the venue…and if food is your passion, Woodland Grange is a foodie’s haven. Everything is fresh, seasonal and sourced locally for maximum flavour and goodness. (for more details visit www.woodlandgrange.com). The deadline for residential bookings is Saturday 24th September 2016 and all Day/Evening and Day delegate bookings must be received by Tuesday 11th October 2016. Bookings can be made via our online booking site (www.rgaconvention.co.uk) or using the hard copy booking form printed in the Spring 2016 issue of the RGA magazine (spare forms are also available from the RGA Office). 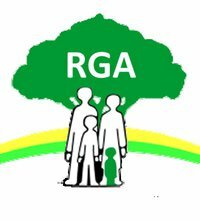 Please note that bookings are only open to current RGA members. If you have any questions about the 2016 Mega Weekend, please email convention@restrictedgrowth.co.uk or alternatively contact the RGA Helpline on 0300 111 1970.